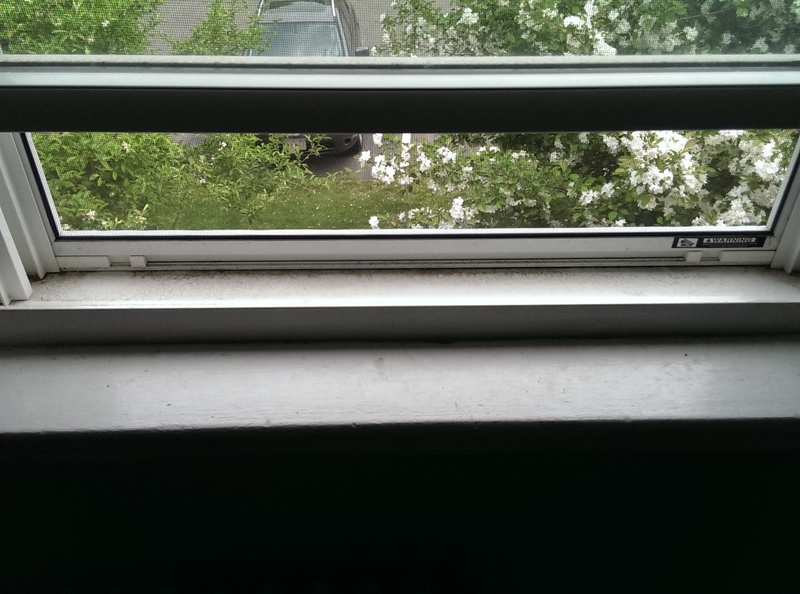 Open up your window (just the glass part) and spray your cleaner of choice onto the grime that has accumulated between the glass and screen of your window. 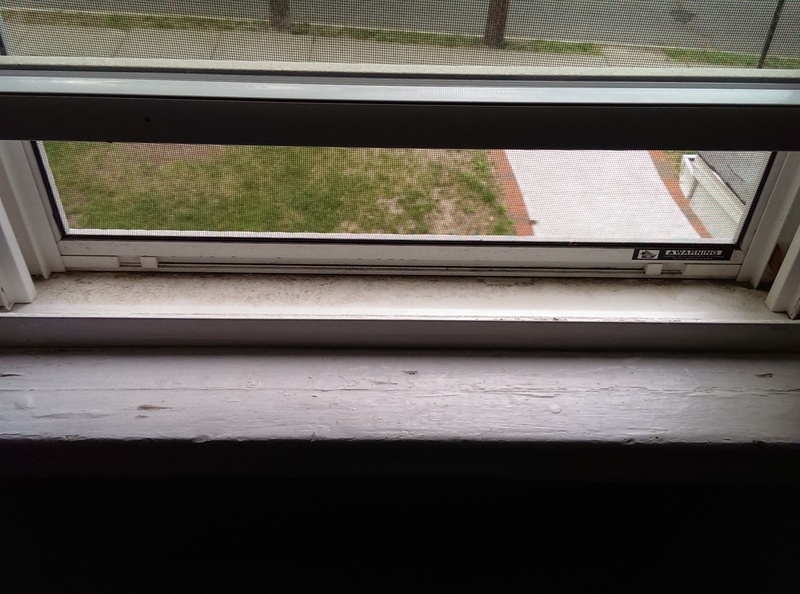 You don’t have to clean the entire window, just this bottom part (let’s call it the inner windowsill since I’m not sure what it’s called). Put on some rubber gloves and grab a paper towel. You could use a sponge, but that requires an extra step (rinsing it out). By the time you do this, the grime has been loosened up by the spray and is ready for vanquishing. With the paper towel in one of your gloved hands, wipe the entire length of the inner windowsill. It doesn’t matter if you go from left to right or right to left. Looks cleaner already, now doesn’t it? Fold the paper towel over so the grime isn’t on the outside, then wipe the entire length again, going in the opposite direction you initially went in. Sometimes grime holds on for dear life but only in a certain direction when wiped. Let’s get that grime! Throw away your paper towel, wash your gloved hands, remove your gloves, then admire your handiwork. 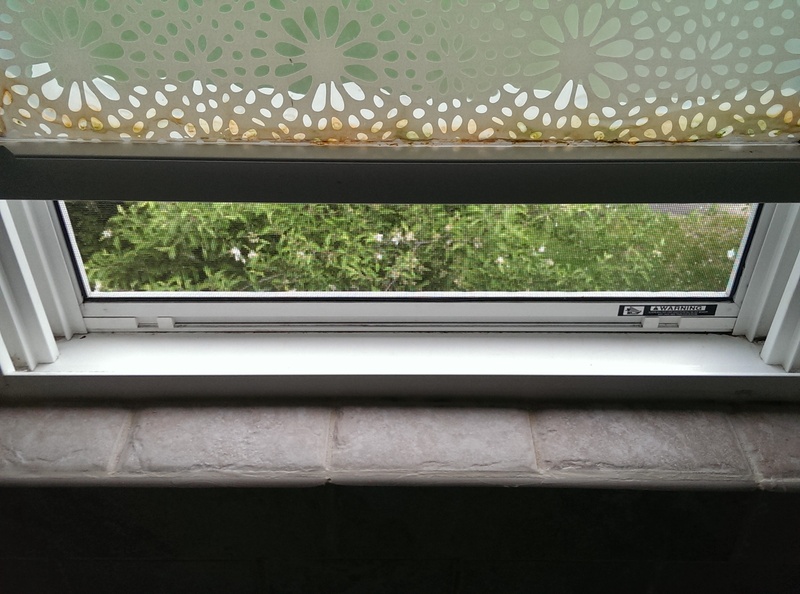 Sometimes we aren’t able to go out and enjoy the beautiful weather, so take a minute per window and do a little wiping to make letting in the nice warm breeze a better experience for all. Tip for cat owners: if your cat likes sitting in windows, they won’t get dirt in their fur after sitting right up against the screen, getting as close as they can to the neighborhood birds and squirrels. AHHH!!! I love this post I actually did that just last week!